I don’t like crowds. Christmas shopping in malls swarming with bargain hunters doesn’t appeal to me at all. 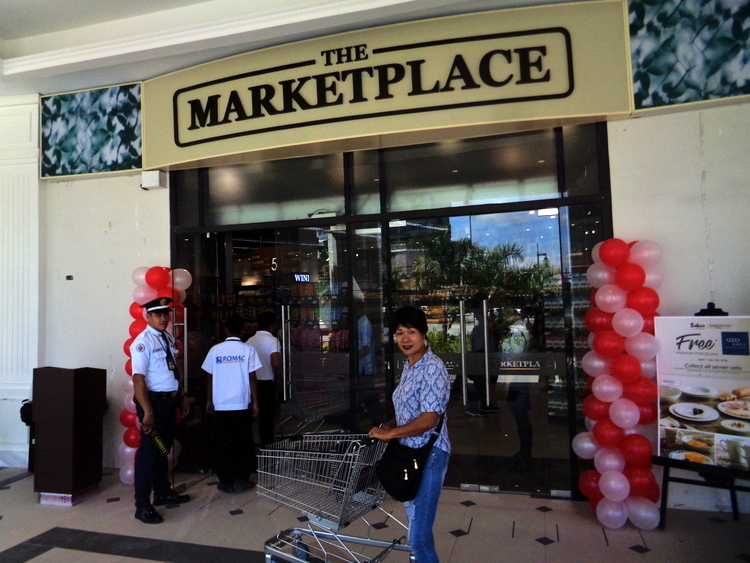 That said, my asawa and I recently headed over to the Marketplace Festive Walk Mall Iloilo Grand Opening. Probably not a good idea for someone that detests hordes of shoppers. First of all, my spiffy spouse and I took a “cheapney” from SM Delgado across town for only 11 pesos each, 20¢, to Megaworld. The trip costs a little more than the standard 8.50 peso fare since Megaworld is not in City Proper territory. Look for a PUV with “Megaworld” plastered on it. Most likely, it will be a jeepney going to SM City, also. The Marketplace (formerly Marketplace by Rustan’s) is located at Megaworld’s Festive Walk Mall in Iloilo City past SM City. 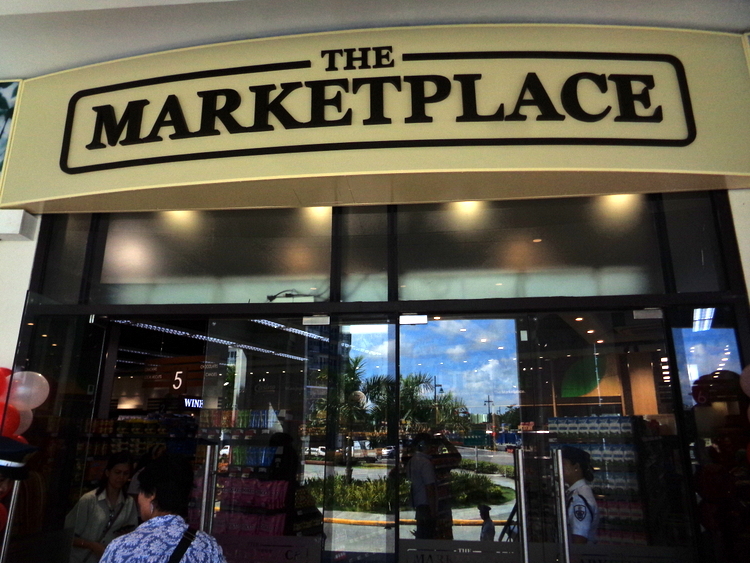 Upon our arrival at The Marketplace, we entered the new supermarket. The layout was somewhat confusing, however, as we made our way through the narrow aisles. At different junctions, a group of people standing around and talking, would block our way. For a moment I thought I was back in our local Walmart in Central Illinois. Talkative neighbors and friends would often stop to chat in the middle of the aisles at our Walmart. While making our way around the narrow Marketplace aisles, I noticed an abundance of French bread and wheat bread in people’s shopping carts. We were able to locate the bakery and purchased four loaves of French bread, baguettes, at a bargain price of 39 pesos for two. That’s only about 35¢ per baguette. The wheat bread also had a low price of 79 pesos, 1.46 US dollars, for two loaves. Aside from the bread, however, we didn’t find any real bargains or any merchandise we couldn’t find at other supermarkets in Iloilo City. Again, the layout of the Marketplace was quite confusing. The store wasn’t laid out in the traditional rows of aisles we were used to. At one point we saw the produce section in the distance. As we navigated our way through the narrow aisles, we were stopped by a security guard. The guard informed us that we would have to leave our shopping cart and go around a different way to reach the produce area. This made absolutely no sense to us. As a result, we almost left the store as we didn’t want to go back outside and come through a different entrance to the Marketplace. However, after asking some other store employees, we were able to find a route to the produce section without having to leave our cart behind. As if we weren’t already bewildered enough, when we decided to pay for our purchases, the layout of the cashier lanes didn’t allow for people to line up in a row behind each checker. The lines weren’t that long at the time either. Maybe we were just confused because it was a new store, but the layout of the establishment and the check-out lanes really aren’t that “shopper friendly” in our opinion. However, we did speak to a knowledgeable and friendly employee at the check-out lanes who informed me a new Marketplace would be opening in November. The worker advised me that the new outlet would be bigger. Therefore, since the new store will be next to SM City and closer than the Festive Walk Mall, we’ll check it out. I certainly will give the new place a chance. Despite the problems with the store layout, the employees were friendly and helpful. Opening day is always a state of controlled chaos for any new establishment, so we’ll visit the new Marketplace after their grand opening. 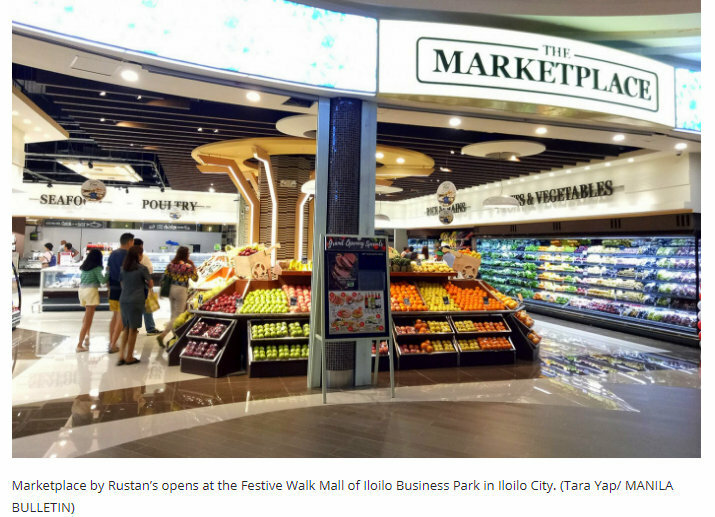 For the record, all of the Marketplace by Rustan’s supermarkets will eventually be converted to “The Marketplace” throughout all the Philippines. The Marketplace at the Festive Walk Mall in Iloilo is the first “Marketplace” in Western Visayas.